The role of Team Leader/Supervisor in the Contact Center Nowadays becomes more important for the success of the Contact Center/Call Center Team. Team Leader/Supervisor tasks not only cover operational aspect but also development in how to lead the Contact Center. to Succeed in carrying out their duties, Team Leader/Supervisor should have the knowledge of technical Operation Management Contact Center/Call Center (TOM CC) also supervisory skill in leading the task force daily operation of the Contact Center. TOM CC (Technical Operation Management Contact Center) will provide insight related to performance management and managing daily Contact Center in accordance with the requirements of the job. While the supervisory is a very necessary skill to conduct an effective Contact Center Staff performance review, feedback, and coaching, also how to maintain motivation and team collaboration of the Contact Center Staff in the Team. Participants understand the role and function of the Team Leader/Supervisor in the Contact Center. Participants gain the knowledge of Technical Operation Management knowledge and supervisory skill needed by team learning materials. The Introduction of the Contact Center/Call Center. Contact Center Management performance framework (Speed, Quality, Efficiency). KPI (Key Performance Indicator) Management Contact Center (Basic Terminology, Definitions, and Principles KPI Contact Center) and the relationship between KPIs Team Leader/Supervisor. Who is an Effective Leader and Leader in Contact Center/Call Center?. Process Quality Monitoring and the role of the Team Leader/Supervisor. Relationship and Analysis Quality Monitoring the quality aspects of call center and customer satisfaction. Effective coaching and feedback to encourage the best performance. Time Management in the Contact Center/Call Center and Positive Mindset to Manage own Stress. Human Resources Contact Center/Call Center function (manager, supervisor and/or staff). 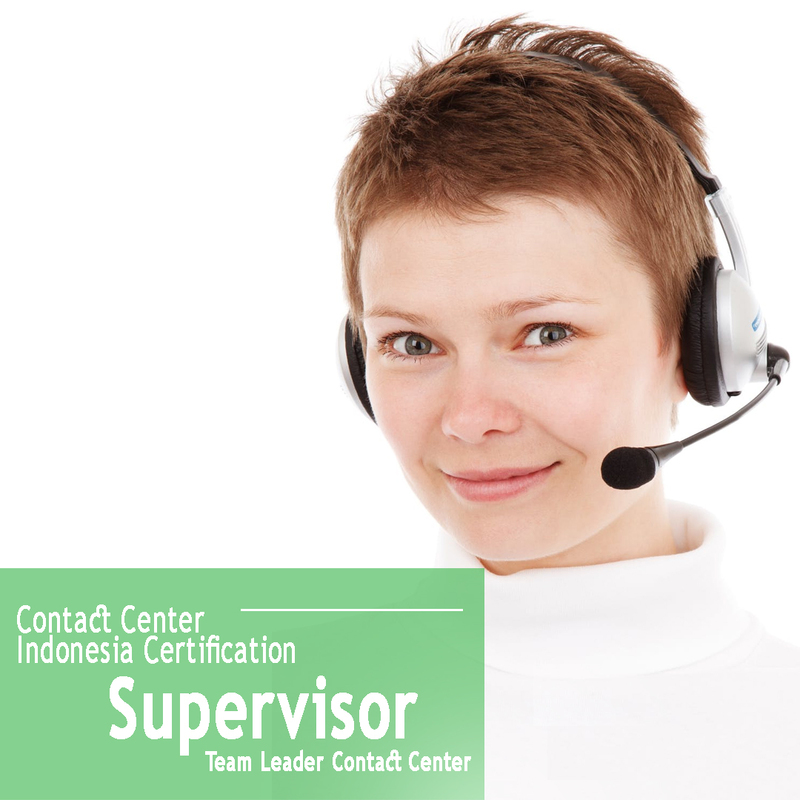 Mid managerial of Contact Center/Call Center (manager, supervisor and/or team leader). The support function is appropriate for any professional participating in the management, supervision, or execution of Contact Center.